Yokohama announced today it is teaming up with GenRight Off Road to compete in the 2018 Ultra4 series. 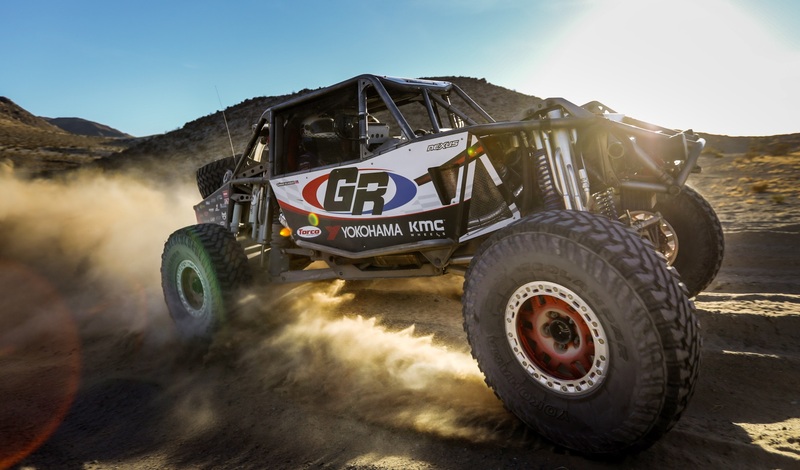 Simi Valley, CA-based GenRight, makers of innovative Jeep parts and accessories, will compete on GEOLANDAR M/T R-Spec tires (off-road racing versions of Yokohama’s new GEOLANDAR M/T G003™) in the Ultra4 Racing 4400 Unlimited Class. Driver Jordan Pellegrino, who is stepping up in class after many successful years in the Ultra4 Stock Mod Class, will take over racing duties for his dad – GenRight’s President Tony Pellegrino – and make his Ultra4 Racing 4400 Unlimited Class debut in the first race of the season: King of the Hammers, Feb. 2-10 in Johnson Valley, CA. Besides the racing sponsorship, Yokohama will also be activating its partnership with GenRight at a number of Jeep enthusiast events across the country to promote the GEOLANDAR M/T G003 and other GEOLANDAR tires. Founded in 2006 by Tony Pellegrino, GenRight Off Road Inc. is a privately held company based in Simi Valley, CA. GenRight (short for Genuine Ideas Engineered Right) is committed to building the best and most innovative Jeep parts and accessories for Jeep enthusiasts. American-made GenRight products are designed to withstand the terrain of the daily commute to the exploration on a back country off-road trail and are tested in the real world, at The Hammers, which are some of the hardest rock crawling trails in the U.S. For more info, visit https://genright.com/.